Dental maintenance 101: Willow’s day at the vet! Each February, the American Veterinary Medical Association sponsors Pet Dental Health Month in an effort to raise awareness about the importance of preventative oral health care by encouraging at-home teeth brushing and regular dental cleanings. With February coming to an end, you may be thinking we’re a little late in promoting dental health awareness, however, we believe good oral health and maintenance should be thought of every day of the year! It’s true, with a little practice and patience, you can set up a brushing routine with your furry friend at home. In addition to home care, we also encourage regular dental examinations and cleanings. Dental treatments involve the use of general anesthesia to properly sedate the patient for treatment. 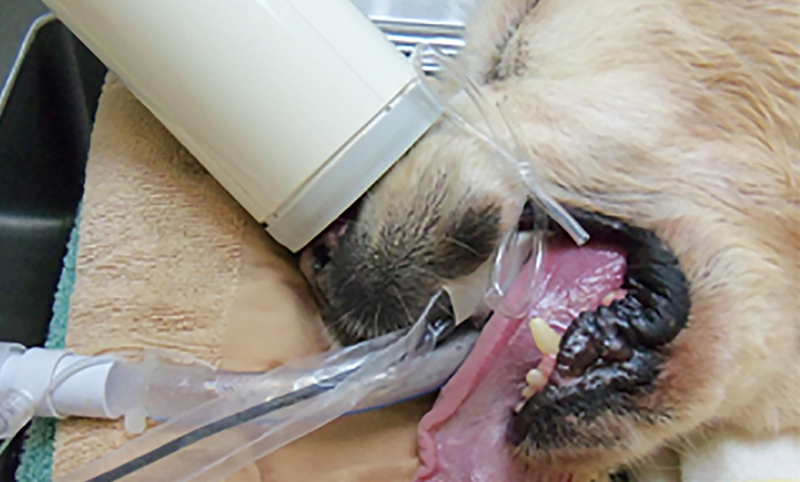 While the use of anesthesia on an otherwise healthy pet may seem unnecessary or daunting, the potential risks associated with periodontal disease (abscessed teeth, pain, bone infections, and possible life-threatening internal organ infections) pose much greater risks to your pet’s health than proper anesthesia administration. 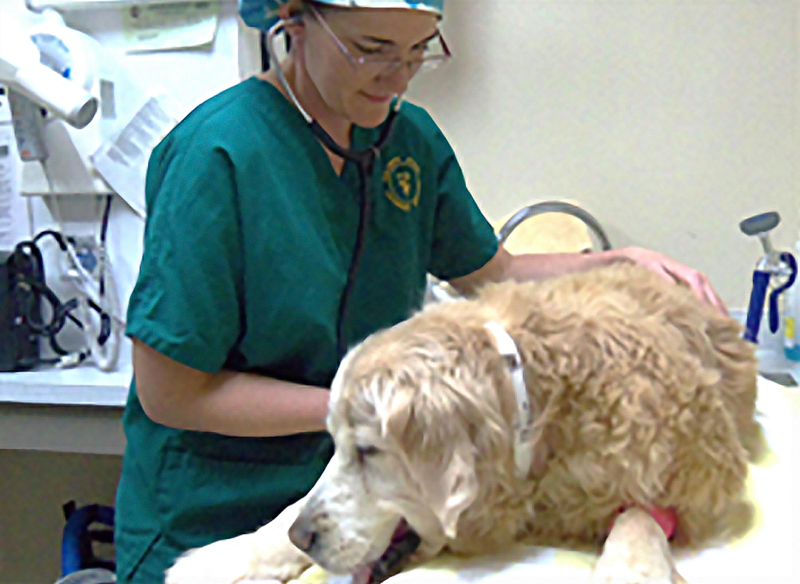 To see what your pet’s dental day would be like at LVH, follow along with Willow, a thirteen year old Golden Retriever, as she prepares and undergoes her dental treatment with Dr. Kloer and our licensed technicians. Dr. Kloer examines Willow prior to her dental treatment. 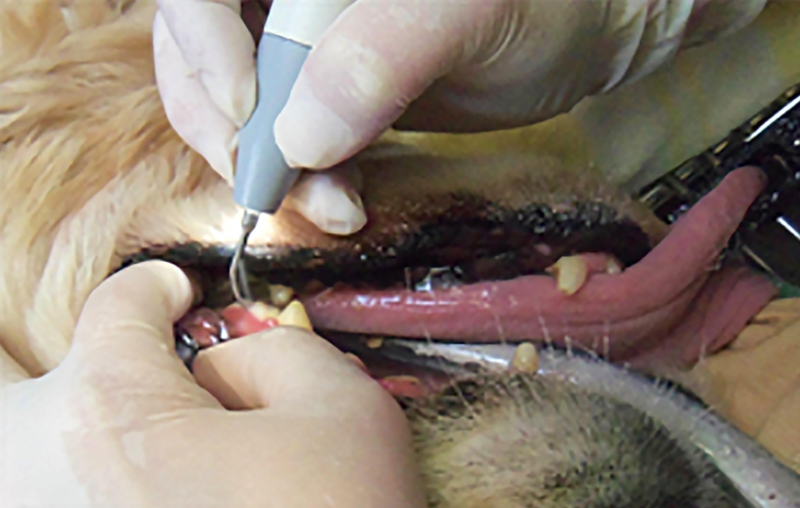 Pets undergoing professional dental treatment are examined prior to the procedure; dental disease grading is assessed, and bloodwork is performed to further evaluate the pet for anesthesia-readiness. After the pet is ready, a pre-anesthetic sedative is given. Our technician, Joanne, closely monitors Willow as her anesthesia kicks in. A pre-anesthetic vital sign assessment including a pre-dental ECG is performed to check for any heart arrhythmias. The patient is then anesthetized, intubated, and hooked up to all monitors (CO2, BP, HR, RR, Temp, ECG, Pulse Oximetry). Care is taken to keep the patient warm throughout the entire treatment. Diligent patient monitoring is critical to a successful surgery! Next, the teeth are hand scaled & scaled ultrasonically by the technician. The doctor then probes the inside and outside of every tooth for any abnormalities. (This dog has a gum fistula and epulus.) Anesthesia is constantly monitored by both the technician & doctor. Dr. Kloer probes Willow’s teeth and finds a gum fistula and epulis. Digital dental radiography is used to assess for disease under the gum line. X-rays are a very important tool used to guide therapy. Still sedated, Willow has her dental x-rays taken. Can you imagine trying to get clear images from an awake patient?! Willow’s x-ray confirmed an incisor abscess on the patient and the necessity of extraction. A local anesthetic is given to further pain control during extractions. Extractions are performed only on severely diseased teeth. Very small or loose teeth can be extracted without surgery. Other multi-rooted teeth often require high-speed drilling and surgical extraction. Gums are often closed with dissolvable suture. 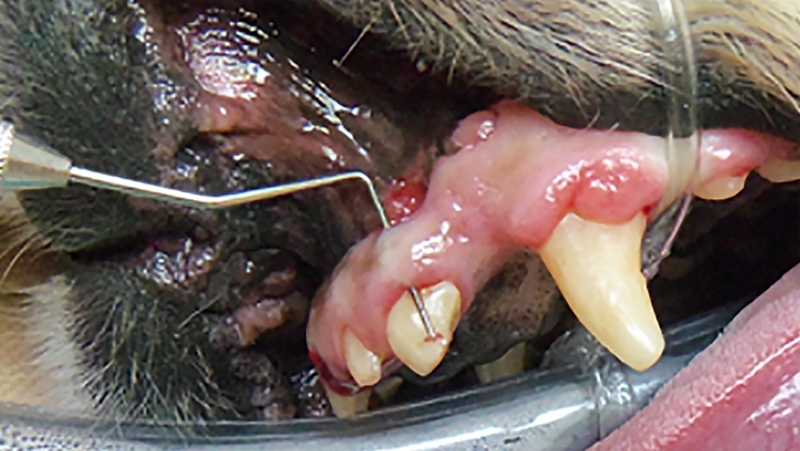 Dr. Kloer performs Willow’s extractions and closes the site with sutures. 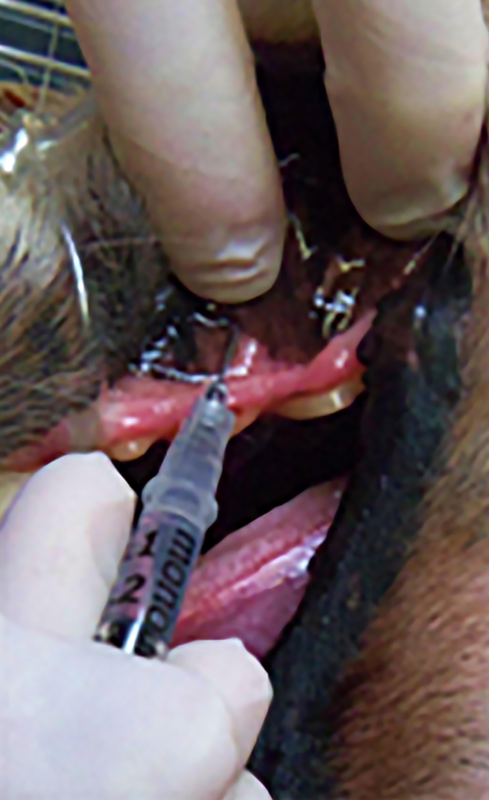 Following extraction, final treatments including polishing, fluoride treatment and periodontal antibiotic pocket filler (if needed) are applied. The patient’s mouth and face are cleaned and the patient is awakened from anesthesia and monitored until discharged from the hospital. 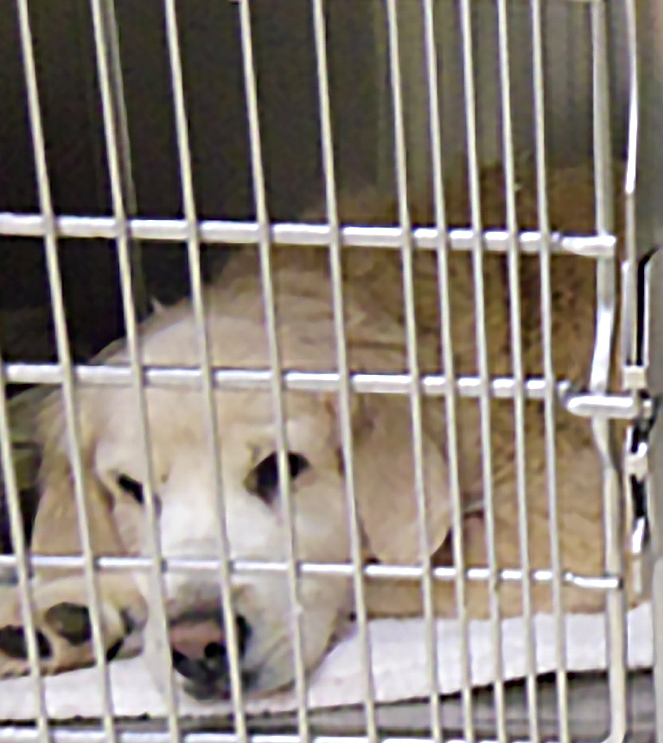 Willow’s dental treatment is wrapped up and she is monitored by the technician as she comes out of anesthesia. Willow relaxing after her treatment. 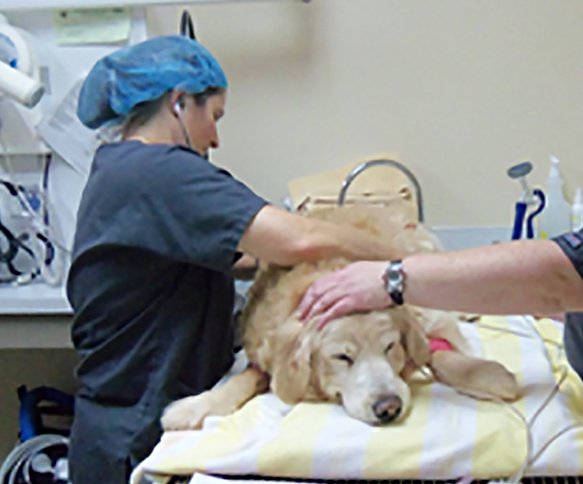 All of our patients are closely monitored by our technicians prior to discharge. Many thanks to Willow’s owner for allowing us to photograph this dental! Oral healthcare is an important part of wellness care for all of our patients, at all stages of life. Please contact us to discuss your pet’s dental needs. You may also download a hard copy of this information from our website, as well as a copy of our anesthetic safety brochure.